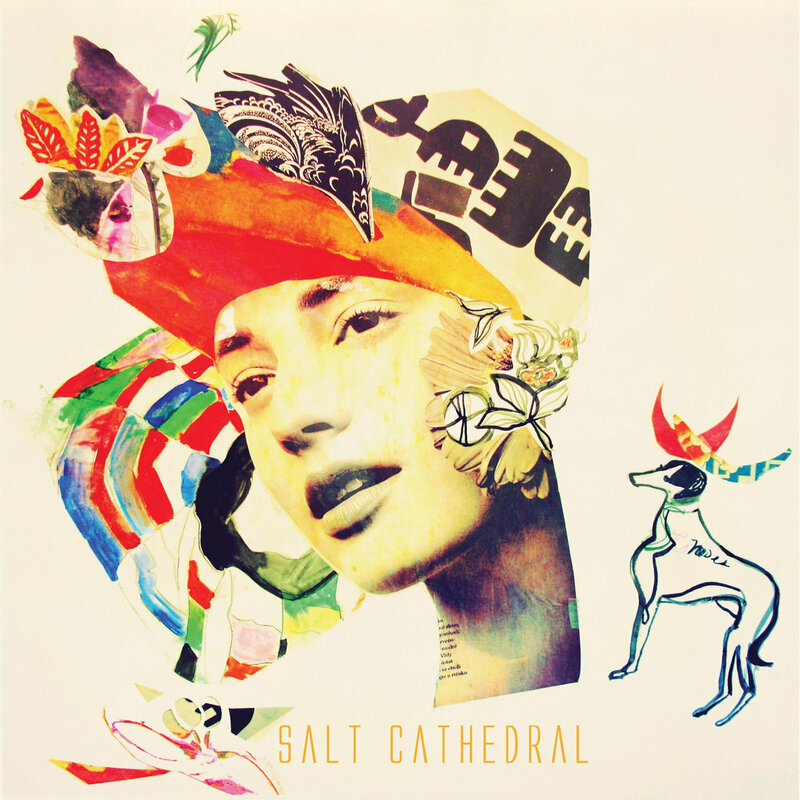 Music lovers near and far will bend their ears to pulsing indie-electronic sound of our newest music crush, Salt Cathedral. 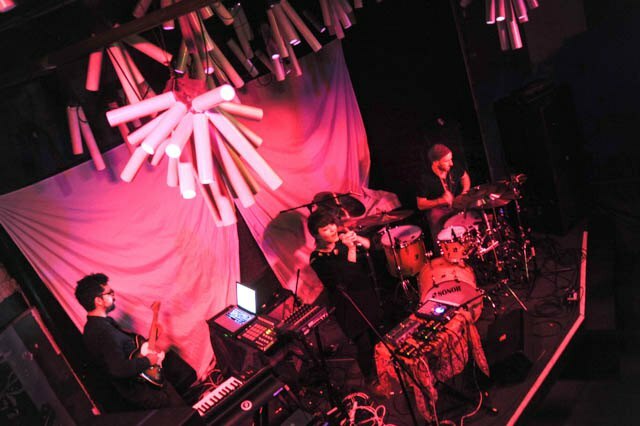 The Brooklyn-based band blends intricate rhythms and floaty vocal loops with edgy electronic sounds with tribal overtones. Like their name, the band's sound is abstract and tangible in equal parts, and we are digging it. 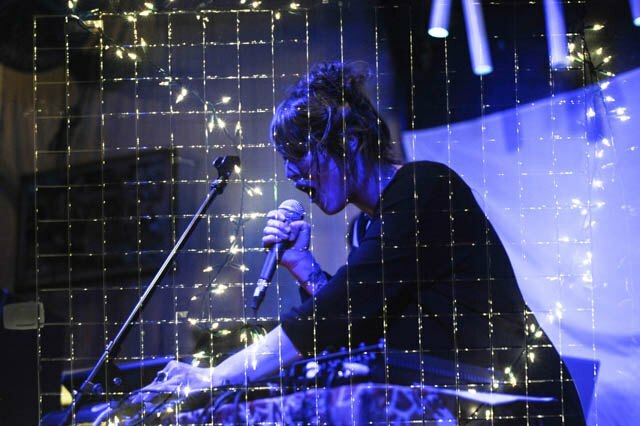 Salt Cathedral played to a packed crowd as Glasslands Gallery last Wednesday alongside Nerve, the self-described (and accurately so) "world's premier live electronic music band" known for their rounds of math-tinged dance rhythms. 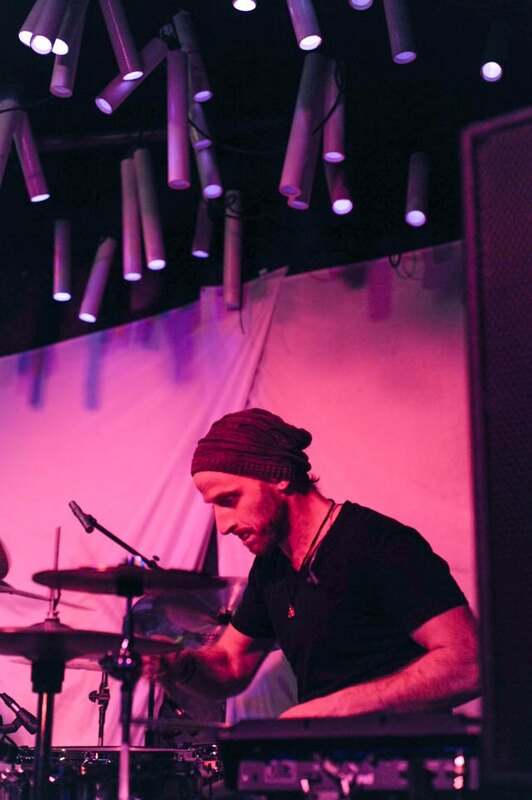 Salt Cathedral set the scene for a drum-heavy evening, songs laced with spitfire beats and textural buildups. The band amassed a following with 2013's excellent 5-track EP Salt Cathedral which came covered in stunning artwork and delivering a big sound (take a listen above!). In 2014 the band has released two singles, "Good Wind" and "Rainy Days" that fold in a more integrated indie-electronic sound. "Rainy Days" has a Cocorosie-meets-Wet vibe, with shimmering vocal melodies looping about, upbeat baselines buzzling, and a glitchy staccato beat. Formerly know as Il Abanico, Salt Cathedral has a South American heart: lead singer, Juliana Ronderos (as well as past band members) hail from Columbia. The folk roots carry through their music, a tribal pulse that paves unique vocal rhythms. Soaring high and low, the passion-soaked vocals find their place best on "Take Me To The Sea," with light cooing atop minimal guitar layers, lyrics oozing a desperate wanderlust: "take me somewhere new / somewhere near the mountains". Live, the performance was tight and passionate, a strong stage presence spread across the trio, who fit between eachother's beats like pros. Ronderos hopped around the stage much of the performance, feeding on the dizzying flow, personifying lyrics from their single "Move Along" - "I move along to the beat of the drums / beat of the drums."